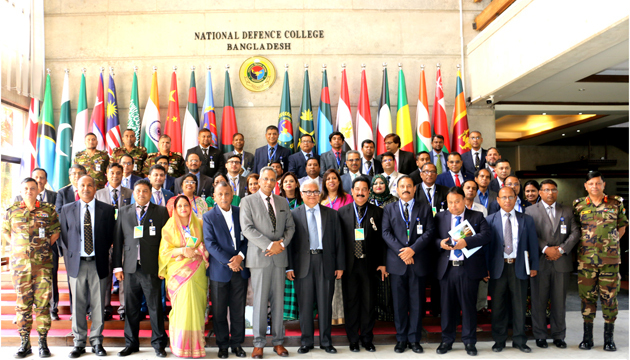 National Defence College (NDC) at Mirpur Cantonment today Tuesday (09-4-2019) organised a day-long seminar on “Environmental Security and Climate Change-Development Challenges for Bangladesh”. Dr. Mashiur Rahman, Adviser to the Hon’ble Prime Minister (Economic Affairs) was present as the Chief Guest. In his closing address as the Chief Guest, he stated various important aspects of Environmental Security and Climate Change of Bangladesh. He appreciated NDC for taking the initiative of organising a seminar on such an important contemporary issue of the country. Lieutenant General Sheikh Mamun Khaled, Commandant, NDC inaugurated the seminar at NDC Auditorium. Lieutenant General Sheikh Mamun Khaled in his welcome speech highlighted that, as announced by our Hon’ble Prime Minister, “Bangladesh has not been sitting around waiting for the world to save us. We are fighting for our own future, albeit with limited resources and technologies “.Through “Vision 2041” Bangladesh will be a peaceful, prosperous, happy and developed nation, comparable with the developed world. Dr. Ainun Nishat, C3ER, Professor Emeritus, BRAC University and Dr. A Q M Mahbub, Professor, Dept of Geography & Environment, Dhaka University had presented keynote papers on different sub themes of the seminar. 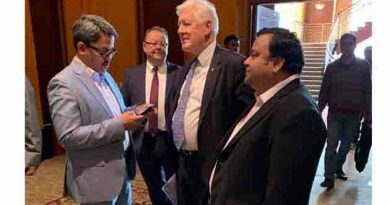 The discourse suggested thought-provoking ways forward in regards to Environmental Security and Climate Change-Development Challenges for Bangladesh, which drew attention of the audience and deserves due consideration. 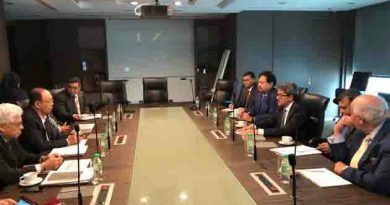 The seminar was moderated by Additional Secretary Md. Mohsin, a Fellow of Capstone Course 2019. Eminent academia and personalities from both military and civil society and 34 Fellows of Capstone Course 2019 attended the seminar. ← Photo Exhibition at UN on Louis Kahn ; The model of National Parliament Building of Bangladesh attracts the attention of the international community. 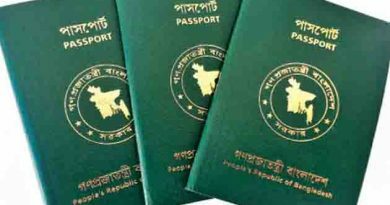 With visa-free access to 41 countries, Bangladesh is holding the 97th position jointly with Lebanon, Libya and South Sudan, according to the index released. Shamima Begum is not a Bangladeshi citizen , So, there is no question of her being allowed to enter into Bangladesh.